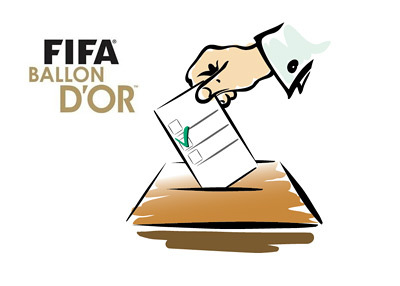 FIFA.com has made public the vote count that decided the winner of the FIFA Ballon d'Or 2013 male player of the year award. The captains and coaches of men's national teams, as well as selected members of the media from all over the world, were asked to submit and rank their three favourite players. Each first pick was valued 5 points, second pick three points and each third pick one point. The sum of all points decided the winner.